Tomatoes are fussy about climate--flowers will not set if the temperatures are too high or too low. A key crop in Florida, tomatoes should be planted when the average temperatures are between 50 degrees F at night and 85 degrees during the day. In northern Florida, which is in Zone 8 on the U.S. Department of Agriculture Plant Hardiness Zone Map, tomatoes should be planted after last frost. In southern Florida (Zones 9 to 11), they should be planted in mid-winter so that harvest may take place before heat and humidity rises. The "Better Boy" cultivar is grown across the U.S. and performs well in Florida. This cultivar produces a large fruit that is resistant to Fusarium wilt, root-knot nematodes and Verticillium wilt. "Better Boy" tomatoes grow on tall, bushy plants, and take about 72 days from sowing seed to first harvest. This plant may be staked. The "Floramerica" cutlivar is an award-winning plant that produces large, red fruit on a stalk that is somewhat bushy and vine-like. As the plant matures and fruit appear, the plant should be caged. The plant is resistant to crown rot, Fusarium wilt, gray leaf spot and gray mold. Fruit may be up to 12 ounces in size and take about 75 days from sowing seed to harvest. The "Sweet Chelsea" is a tall, bushy plant that produces sweet, cherry-sized, red tomatoes. Though bushy, this plant can also be vine-like. Fruit grows up to 1 1/4 inch in diameter. Fruit takes about 75 days from sowing seed to maturity. Because this plant is prolific, it should be staked, so that when fruit appears, the vines are supported. 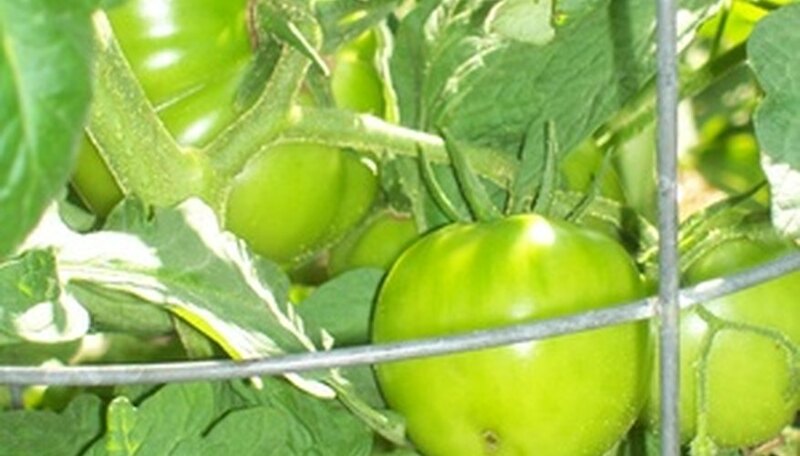 The "Suncoast" cultivar produces a large tomato on a bushy and vine-like plant that should be staked or caged. This cultivar was developed by the University of Florida and grows well throughout the state. The fruit is deep red both inside and out and is resistant to Fusarium (1 and 2), gray leaf spot and Verticillium wilt.